Posted on June 28, 2013, in Education, Kingdom of the Sun, Life and tagged Bollywood, Communication, Community, Compassion, Connection, French, Hindi, Language, Society, Spanish. Bookmark the permalink. 11 Comments. Very true. I’m in Spain sometimes because my partner is from there. I’m a neuroscientist, and during my visits to Spain, I’ve gotten to know a neuroscientist there who works in my area of research. He said that years ago his mentor told him that there are 2 kinds of Spanish scientists: those who know English and those who don’t. He was referring to the huge advantages for a Spanish scientist who speaks English. Nearly all of the major scientific journals are in English, and so it’s difficult to publish your research results if your English isn’t perfect. It made me feel bad to hear this. (Studying Spanish is one of my favorite things to do these days). Learning a new language opens your horizons in so many ways. I only learned French by chance — after marrying a Frenchman and moving to France. 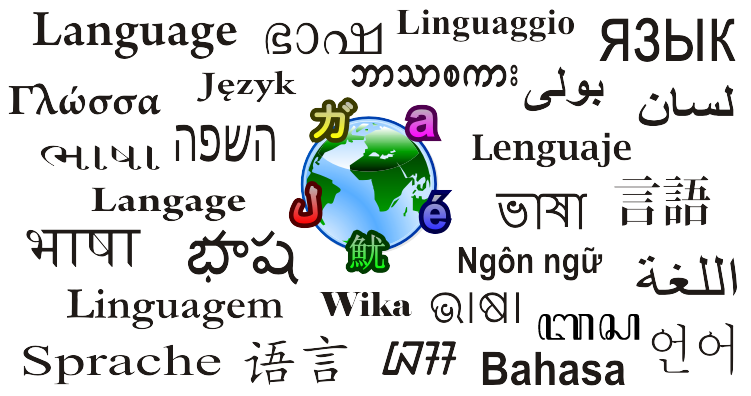 I consider myself very fortunate to speak two languages and am humbled by those who are multilingual. We have an unfortunate tendency in our culture to be ‘anglocentric’ — that is, if you speak English, you own the world. But there is so much more to discover. Thanks for an interesting post! Yes, “anglocentric” is a great word to describe that! I desperately want to speak another language, and I hope to learn so some day. Your comment actually got me wondering about how many people who speak one language wish that they could speak another or multiple. I’m so glad you managed to catch the movie. Yes, it is sad that we ascribe more respect to people who can speak English, but unfortunately that’s the way of the English speaking world. Language is currency. I find it interesting though that my daughter will be learning Mandarin soon in school, as this happens to be another language of growing importance. I also loved the communication between Shashi and Laurent. Beautifully presented. If you want another fantastic example, and perhaps more moving, watch West is West, the sequel to East is East. There is one scene where George’s wives communicate with other for the first time. The acting is superb and basically blew me away. I’d watch that movie again, just for that one scene. So much can be expressed without the need for lexical understanding. “Language is currency”-how interesting! I definitely agree that Mandarin is becoming popular. I like to stick with things that aren’t so “popular,” like learning Japanese, Malayalam, and latin ;). Thanks for recommending more movies! Should I watch East is East first or does it not matter? They’re both great movies…a surprisingly accurate view into the lives of British Muslims in the 70s, perhaps. They’re funny and touching and I don’t think you would lose anything from watching them both. What, they hey, yes. watch East is East first! Sounds good, I’ll try to find them. Thanks again! After reading some of your posts, it seems that we have similar interest. Thanks for liking my post. Hope to see you again. It seems that we do! Thanks for reading my posts and commenting!